In June of 2011, Mawuvio's Outreach Programme established a free feeding programme for all students of MOP. Before the free feeding programme, students easily lost focus in class due to hunger. Students often left school early to perform odd jobs to make enough money for at least one meal a day. Since June 2011, every day student receives free lunch every school day. In 2014, the most needy MOP students moved into the dormitories at the Ayikuma facility. These students are provided with 3 square meals a day through the feeding programme. 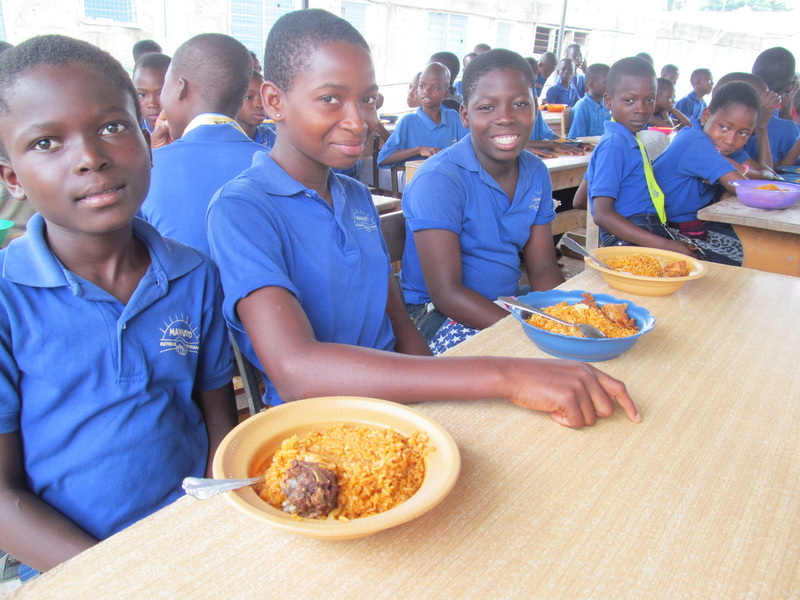 The feeding programme impacted and improved the lives of all students. Since its implementation, directors and teachers have seen improved health, well-being and classroom performance of all students. For more feeding programme pictures, visit our photo gallery.